Indeed. In Canada it has become common to talk about artists of different kinds as créateurs, at least in French, and also in the Officialese of government granting agencies. SSHRC refers to “research-creation” as a specific granting category combining scholarly and artistic (read: “creative”) work. If English “creative” is unremarkable in this context, and “research-creation” fairly well accepted in certain circles (SSHRC, like other federal bodies, prefers minimal pairs in translation), I think “creator” for “artist” may still sound odd to English ears, probably because of Biblical echoes (“Creator of Heaven and Earth” in French is maître–not créateur–du ciel et de la terre). Instead, “create”, “creative”, and “creativity” are what we tend to hear a lot of, often in advertising and/or corporate contexts (as opposed to official ones). 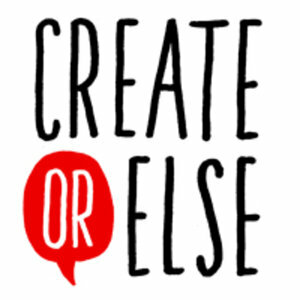 My intuition, like my mum’s, is that the rise of “create” is recent. This unigram chart certainly shows an increase in the incidence of “create”, starting in the 1910s, and spiking upwards around 1980. That second spike could account for the impression of recency. Inspecting the background data, I find that a very large number of these are in titles of the books. The following titles give the flavour of these: Understanding Those who Create (1998), Create that Change: Readymade Tools for Change Management (1997), Fabulous Floorcloths: Create Contemporary Floor Coverings (1998), Create your Own Christmas Sticker Cards (1996), Create your own Pirate Adventure Sticker Picture (1995), Cut and Create! Transportation (1997), Create Impressive Documents (1996). All of the above titles are self-help or self-training books designed to help you make things, except the first, which is a psychological study of creativity. So the rise in the incidence may actually correspond to a rise in D-I-Y making, as well as a rise in the use of the word “create” to describe this. It may well be, unlike almost every use of Ngrams you hear about in the popular media, tracking a cultural as well as a linguistic phenomenon. This appears to validate the idea that the rise in “create” is occurring outside of fictional works, although there does seem to me a small increase in the incidence after 1950 or so. A final few charts to round out the story. What about mum’s email? What does the picture look like in French? Here are some corresponding graphs from the Google Books French corpus. I’ll let you draw your own conclusions. Interesting about “creatore”. What about “creazioni” for made objects, as in “creazioni artigianali”? Is it as twee as English “creations”? Or unremarkable? It is true that “creazioni” is now largely used, but it still sounds quite sophisticated I would say.